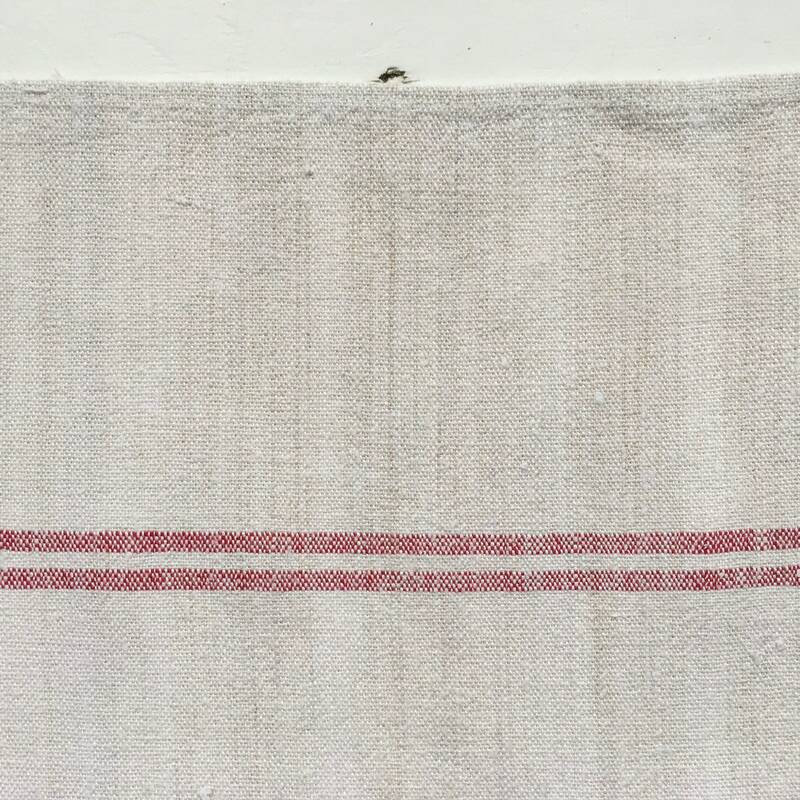 This vintage Hungarian linen tea towels has been handspun and homespun pre 1940, it is very durable fabric, with hand stitched seams, the fabric is a mid-weight, textured linen. 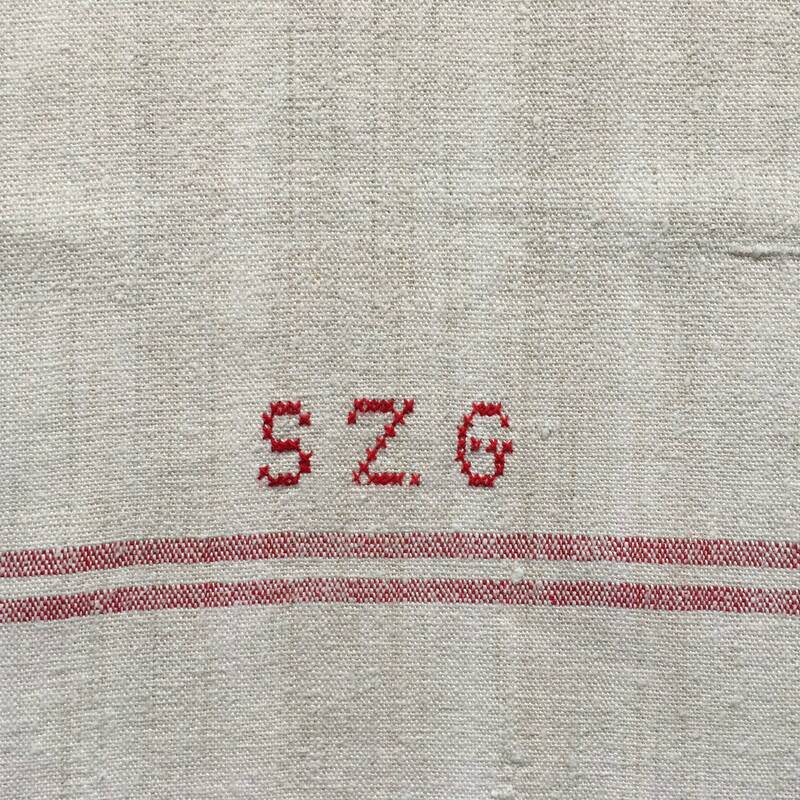 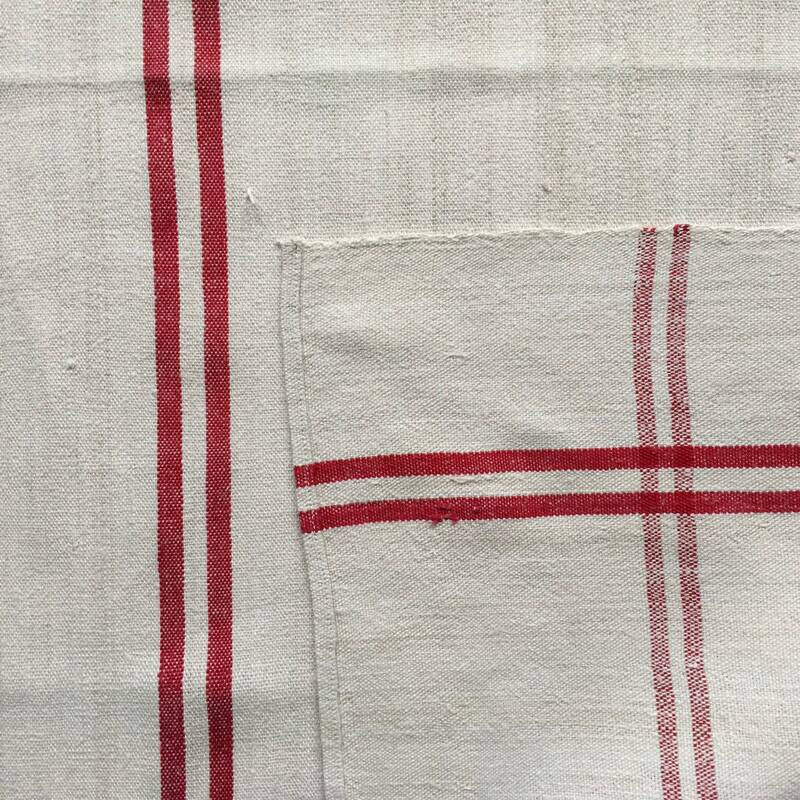 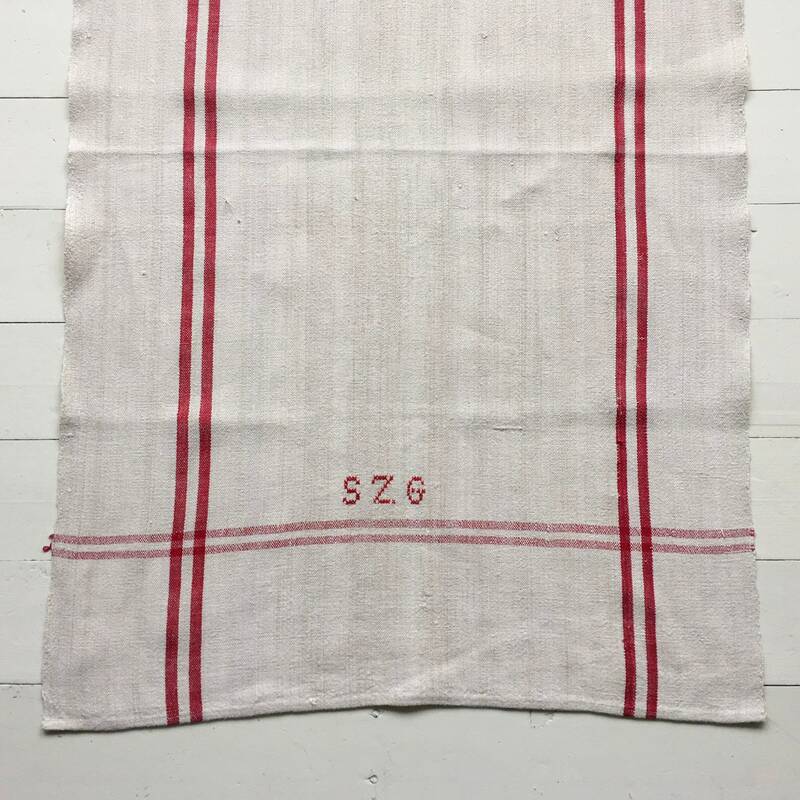 The linen is a limestone shade with a red 2 stripe border with a decorative 'SZG' monogram. 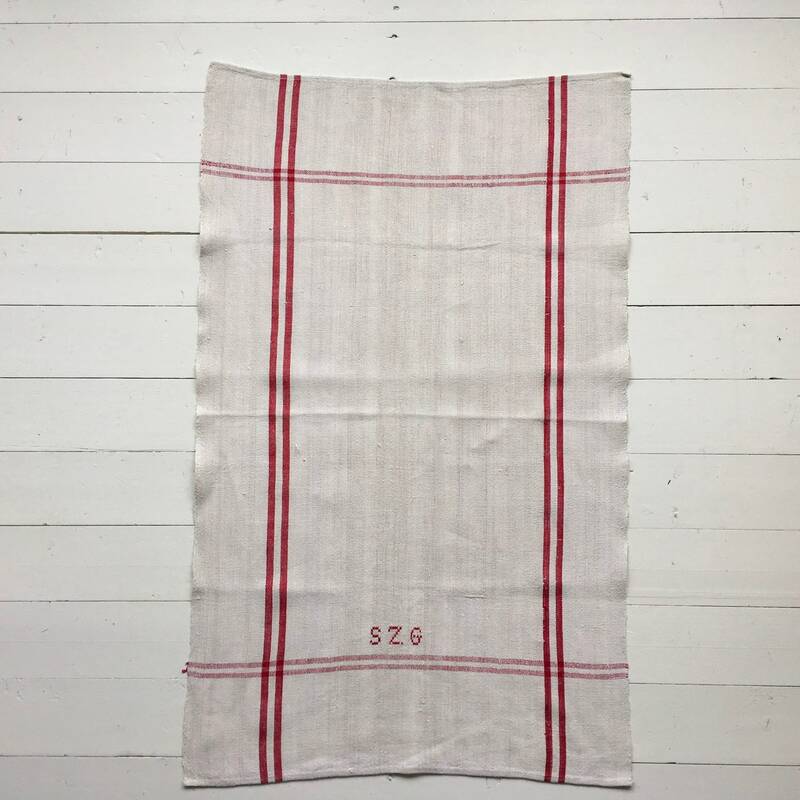 Use this tea towel for small window blinds.